Amald offers ACH Payment Processing offers simple solutions for your business to thrive well if you are seeking your business gain stability. 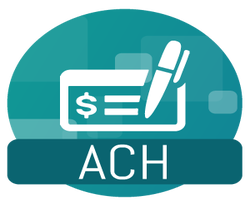 ACH payments are considered an electronic payment that is transferred from the customer’s account to merchant‘s account. We offer the industries to maintain their business accounts in an easy manner. It is too hard to manage all your company’s info. In this case, it offers solutions to manage all the tasks through Amald eCheck processing solution. We assist you to get flawless merchant account without any fuss. Looking for payment processing solution, get in touch with Amald services without delay. Avail high-risk solutions with ACH Payment Processing through Amald. We offer a reliable solution to merchants to overcome any sort of obstacles that they face in their business. With ACH payment solutions, you can get secure payment from customers with high-risk gateways integrated to your website. The 2d and 3d solutions can offer a secure way to protect your website from any kind of deceptions or chargebacks. Our gateways are good enough to make you get secure payment from customers. High-risk solutions offer tremendous success to your business with the aid of Amald amenities. Amald is a financial consultancy offering ACH Payment Processing with offshore payment gateway solutions to increase the efficiency of your business transaction. We offer offshore payment processing solution to businesses that are often denied amenity by the domestic banks due to high-risk business. In this situation, we offer solutions to merchants who have been denied service. Our ACH solutions with a merchant account accelerate your transaction process and offer a grand gain in your business. Thus, with our offshore gateway along with ACH processing offers exceptional way-out in your business. Want solutions for your high-risk business; get in touch with Amald for ACH payment solutions. There is an actual-time check verification amenity provided for the final in check or ACH acceptance security. You get your payment gateway at an actual time without any hamper. Your customers will not use the checks as well as credit cards and you can offer the least price payment. The customer feels stress-free and flexible as it is a speedy payment process as contrary to employing checks. You can avail all these advantages to choose us. With our assistance, you do not require to contact any service provider for account management. You just need to contact us for merchant account supervision solutions. You can select us for services as we offer quality service to businesses. Why approach Amald for ACH Payment Processing? Look for us at any time of the day as we are available. We are a highly successful firm in the world and you can completely trust us for merchant account solutions. If you are seeking ACH Payment Processing or any sort of technical assistance to maintain your merchant account then contact us. We are available for you for 24 hours to solve your problem related to your ACH payment. Our technical assistance squad tries to please you with superb payment solutions. Want solutions for your business transaction; connect with Amald for a proper solution .